Beakerhead is impossible to ignore. The mix of art, science and engineering seemed to explode out of nowhere in 2013, taking over the streets, schools and public spaces of Calgary with unusual experiences, objects and ideas, and sparking a sense of wonder in people of all ages and interests. Calgary has never seen anything quite like it. As the second annual Beakerhead began to take shape, its planning team needed to improve the event program. Michelle Htun-Kay, Beakerhead’s director of marketing and communications, wanted a program that would better contextualize the experience and define the Beakerhead brand, while functioning better than ever before as a practical guide for participants and viewers. 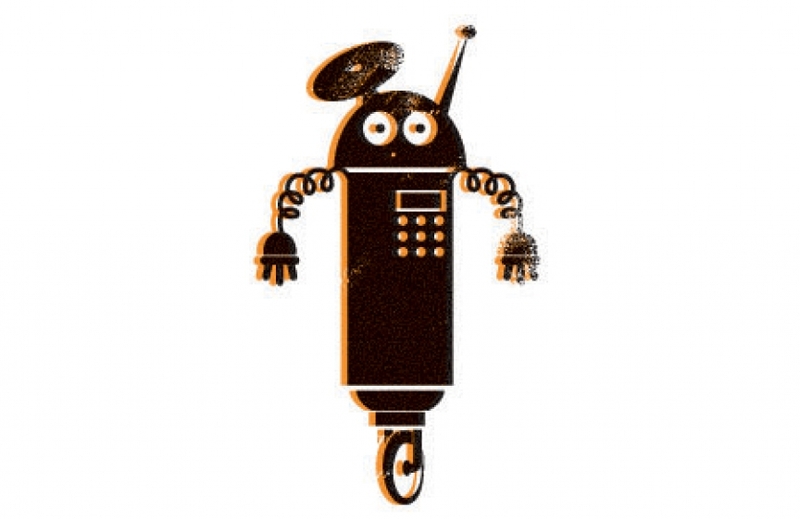 Htun-Kay enlisted RedPoint to edit and design a program for Beakerhead’s sophomore year. RedPoint design director Steve Collins had the task of shaping a large quantity of information into a simple, sensible guide — but one that embodied the playful, creative spirit of Beakerhead. 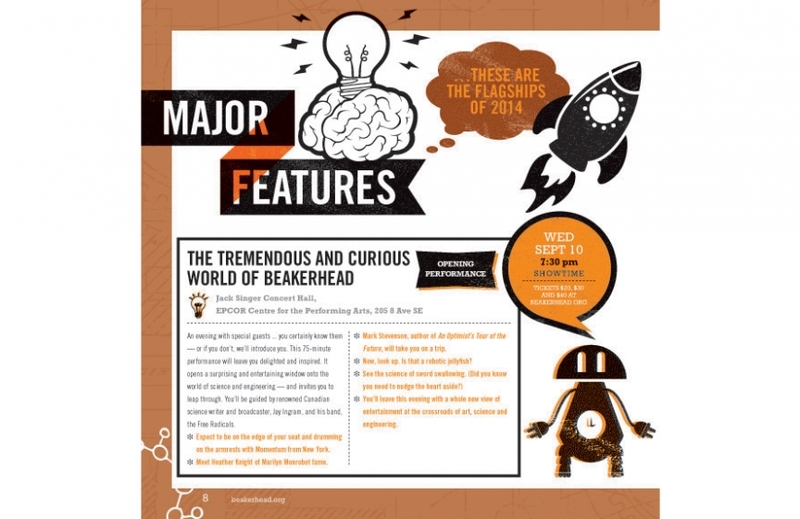 In 2013, the spaceman was a key visual element in Beakerhead’s branding and collateral. Htun-Kay said Beakerhead wanted to retain this element, while providing other visual elements and cues for program users. Steve placed the spaceman on the cover, then lifted colours from the Beakerhead logo and worked them through the program. He added as many images as possible to help readers know what to expect from the Beakerhead experience, while using a variety of tactics to simplify the content and present it in a digestible way. Steve also added playful graphic elements, each of which has a very practical wayfinding function. 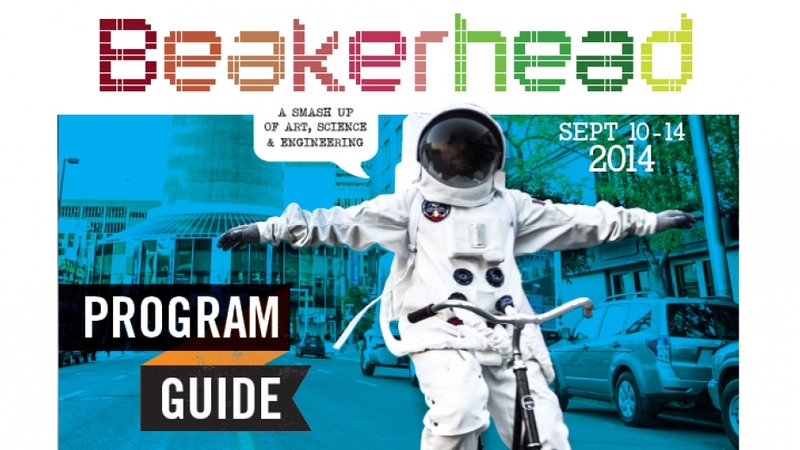 Relive your Beakerhead experience with the official 2014 program.